We’ve seen a few dealer-built performance creations over the years, but Beechmont Ford in Cincinnati, Ohio, has something truly bonkers for Ford Mustang fans. The dealership dropped the video on YouTube outlining its in-house build called the BFP Drag Pak, which among other things includes a massive shot of nitrous oxide from a trunk-mounted bottle. The dealership claims 800 horsepower is on tap in a package that can go directly to a drag strip and run a 10-second pass. Perhaps more importantly, this kind of performance is apparently backed by a warranty. Wait, what? At least, that’s what The Drive has to say in a feature on the car. The details of the warranty coverage aren’t known; the report says every component is still covered but knowing what we know about automakers, we’re assuming this isn’t Ford coverage considering the explosive nature of naaawwwws. We have a message into Beechmont Ford asking for some additional information, and we’ll certainly update the article if we hear back. 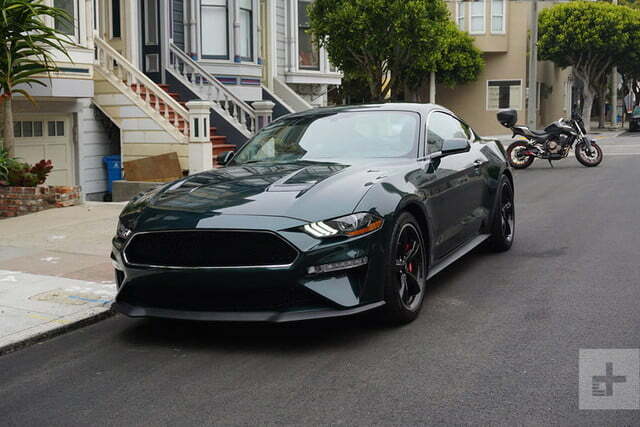 According to the video, the BFP Mustang starts out as a 2018 Mustang GT fitted with an automatic transmission. From there it gets a modest selection of upgraded components including Steeda suspension bits designed to reduce wheel hop, drag-specific shocks and springs, new half shafts rated to 800 horsepower, and street-legal drag radials on 17-inch wheels. On the engine side, there’s an upgraded oil pump gear and crank sprocket, but that’s about it. At least, aside from the massive shot of Nitrous to boost the 5.0 Coyote V8 from 460 to 800 horsepower (343 to 597 kilowatts). Beechmont Ford has its own performance group that tweaks Mustangs, and though there’s no price mentioned for this specific build just yet, the dealership does offer an 800-hp supercharged Mustang for just under $42,000. All things being equal we’d rather have the boost than the juice, but either way you cut it, that’s a lot of power for not a lot of coin.